Two best friends, who have an eye for art got together to follow something they believed in. Shirin Shaikh and Monali Shinde work towards helping you add a little zing to your home. Their collection of hand-painted bottles, with each having a unique design will surely stun you. “We are school friends and we’ve always exchanged our ideas and thoughts about art. I am from a technical background whereas Monali is from a fashion background. We’ve always wanted to do something that can polish our creativity. We started with brand Antarvalay. The name is an amalgamation of ‘antar’ which means deep inside and ‘valay’ which depicts emotional aura or artistic vibe. Hence this is our reflection of inner emotions and expressions in the form of art,” says Shirin. The two girls use glass colours to keep its transparency intact. Their themes vary from florals, to nature to abstract. They even use dried flowers to decorate their work. “We decided to make something that is pocket friendly for everyone. 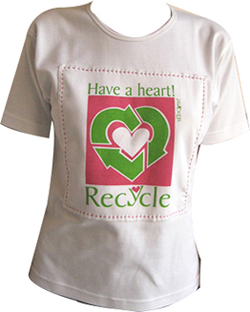 What’s better than waste material, as the project turns eco-friendly too. We have a variety of decor products like paper quilling, pop art, calligraphy, recycled bottle art, artistic candles, natural flowers, etc., to choose from to enhance the beauty of your living room,” Shirin adds.